We celebrated International Science Week during 24-28 September 2018. 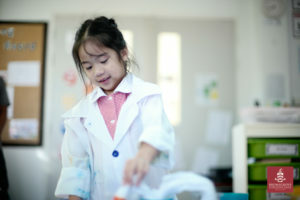 Our soft play room became a sensory room where the children could explore the wonders of light and dark. 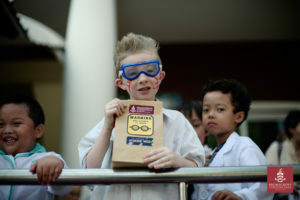 We had our “Stay and Play” on Tuesday where children, parents, and teachers enjoyed dressing up as mad Scientists and took part in science activities in their classrooms. 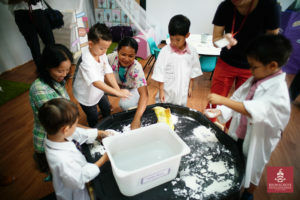 To round off the week, we had our messy day on Thursday, where children took part in various science experiments and sensory activities. We look forward to seeing you at our next EY event! For more photos, please click here.